The Oxford dictionary to which you refer here is a condensed version. 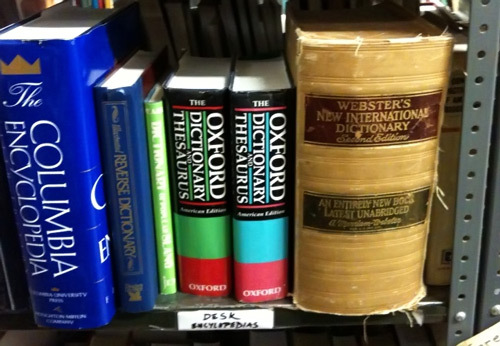 The original OED is composed of 20-volumes and weighs in at 137 pounds!! so did you buy that sucker?!! That’s a sweet antique on the shelf just to look at. Not for $60 I didn’t, Tom. But I would be lying if I denied that in my mind I had cleared a spot in my library for it. Call it self-control I suppose. AMEN on having online ones. Tony, What are your favorite used book bookstores in the DC area?